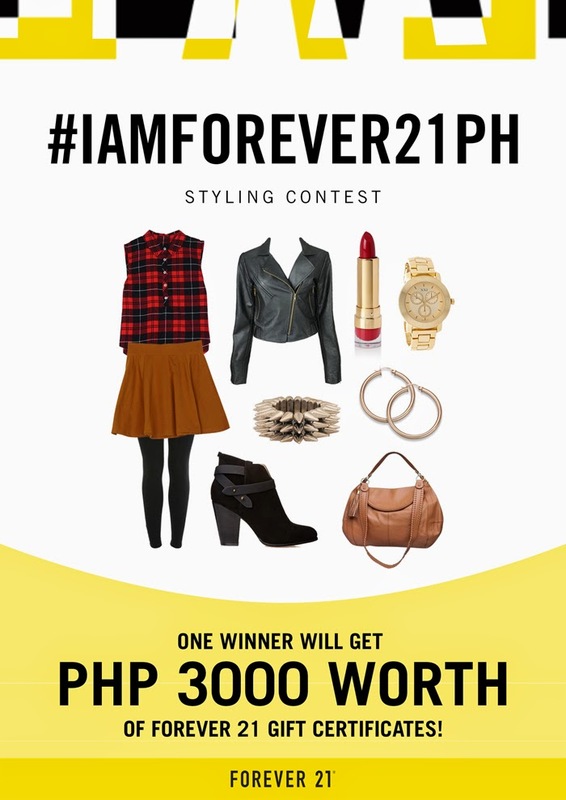 Join the #IAmForever21PH Styling Contest & Win GCs! Hello to all you fasyown stylish ladies and gents of Manila! You'd love this, so read on.... Our favorite clothing brand Forever 21 partnered with moi to hold a blog giveaway!!! It's their way of saying thank you to all their loyal customers and also to celebrate the launch of their newly renovated store in Megamall tomorrow! I am so excited haha. Just create a collage and one lucky reader of my blog would win GCs worth P3,000. That's one whole outfit na! :) Deets below. I don't need to tell you how much I love Forever 21. You've seen me post about them countless times on my blog and have used them for my styling stints. It's every girl's dream closet--turned into a store. Haha. That's why joining will be worth it. Promiiiise. 3. Style & create a collage of your Forever 21 outfit using Paint, Photoshop, or any other photo editing software. You could even use your android phones! 4. Upload your photo on Instagram with a creative caption and tag three of your friends. Don't forget to tag me! to make it easier for us to track your entries! I will be choosing 1 winner who has the best photo and caption on October 15, 2014. Goodluck guys!!! Hi po do you have different deadlines per blogger? Kasi kay Ms. Ana and Ms. Alyssa is Oct 20. Please reply po.